Delaney joined Topa Insurance Company in August 2014 as the Marketing Representative. Six short months later Delaney's role shifted from Topa Insurance Company to Topa Insurance Group, managing Corporate Communications for the portfolio. Currently, Delaney manages marketing for Topa Equities, Ltd., working with several of their operating companies (e.g. Hawaii Coffee Company, Topa Management, Townsgate Capital Corporation, along with Topa Insurance Group) on advertising, branding, communications, digital marketing, event planning and websites. 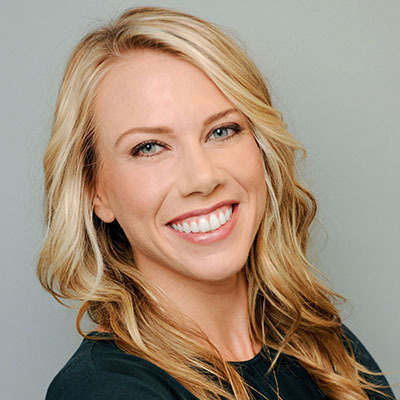 Prior to joining Topa, Delaney spent four years as a marketing professional at Fox Studios in Fox Networks Distribution Marketing Department, managing local ad sales promotions and trips, talent coordination, event coordination, project management, website management and affiliate relations. Delaney earned her Bachelor's in Public Relations with a minor in Marketing from Chico State. Her hobbies include yoga, travel, volunteering with Girls on the Run and catching sunsets at the beach. You probably didn't know... in 2013 I met Terry Bradshaw, Brian Urlacher, Kenny Florian, Meisha Tate and Dana White.